These easy salmon and asparagus foil packets make a quick dinner and are great for cookouts or camping trips. You can even prepare them ahead of time. 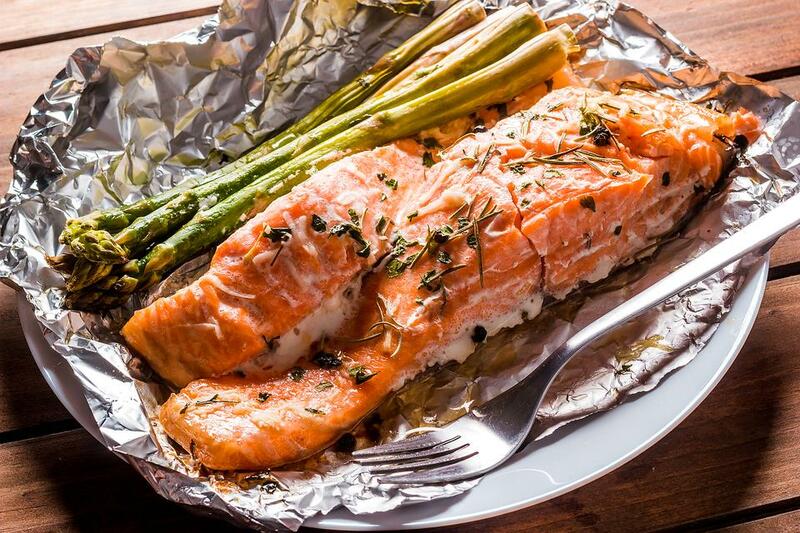 Tear off four sheets of aluminum foil big enough to hold the fish and asparagus. 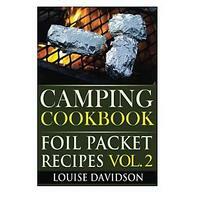 Put a few slices of lemon onto each piece of foil. Season the salmon with salt and pepper. Place a piece of fish on top of the lemon slices. Top the salmon with some asparagus. Combine the butter, Italian seasoning and garlic. Mix well. Dollop the butter mixture over the top of all four salmon packets. 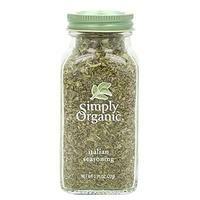 Sprinkle with herbs, if using. 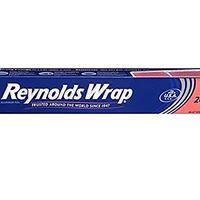 Fold the aluminum foil up to create tightly sealed packet. Cook on a hot grill for about 6 minutes per side, or until salmon is cooked through. 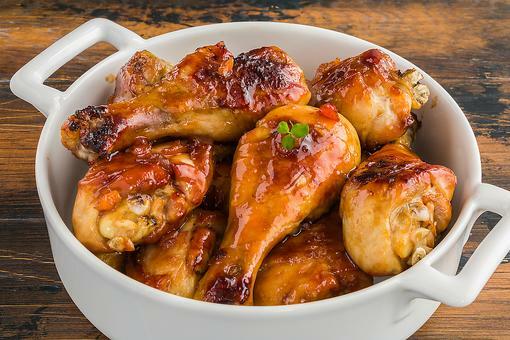 You can also cook this in a 400-degree F oven for about 20 minutes. Serve immediately. 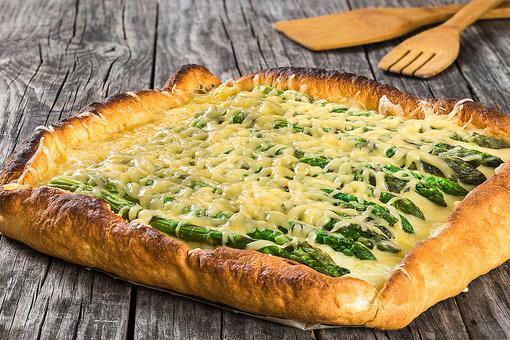 Asparagus Tart Recipe: A Quick Appetizer, Light Lunch, Sunday Brunch or Vegetarian Dinner! 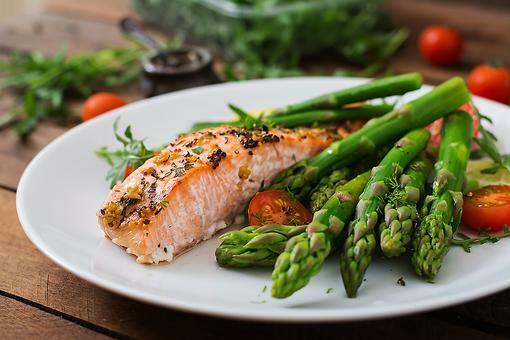 Salmon & Asparagus: A Heart-Healthy Dinner Ready in Less Than 30 Minutes! How to Make Oven-Roasted Asparagus With Garlic, Lemon & Almonds! 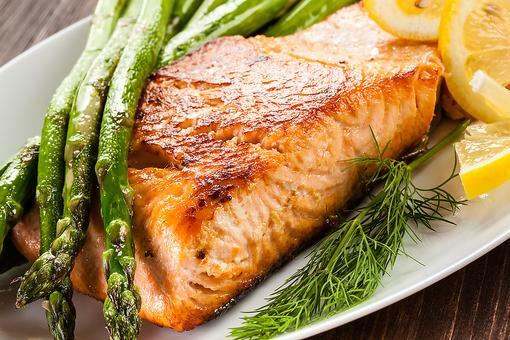 Simple Salmon Recipes: How to Make Easy Marinated Salmon Fillets! OK, this is genius. No mess and so savory! 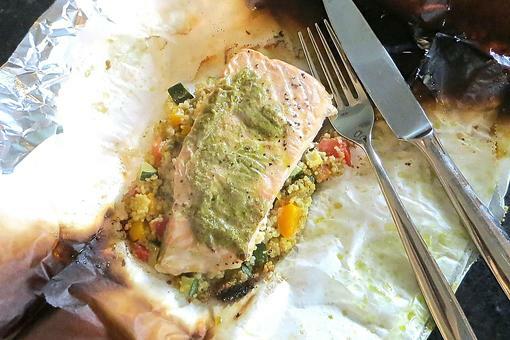 BBQ Salmon & Couscous Veggie Packets: A Quick, Delicious, Healthy & Kid-Friendly Recipe!